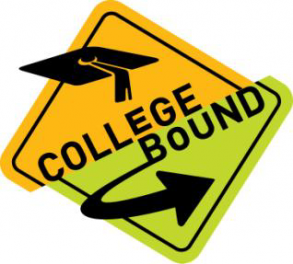 Check out Ahow_2_college on instagram for information on college application deadlines, financial aid, scholarships, application tips, and other relevant information related to college and career readiness. Have questions on all things senior year and the steps for being successful int he future? Click here to download our "Senior Planning Guide". It should answer many of the questions you have! Have you considered Community College? If not, here are some benefits of attending. Save money. Costs are generally much lower than those at four-year colleges. On average, tuition and fees at public two-year colleges are $3,347 a year. Prepare for transfer to a four-year college. Many community college graduates decide to transfer and complete their bachelor’s degrees. Planning in advance can help ensure that the credits you earn will count toward your degree at the four-year college you hope to attend. Get ready for a career. If you want to enter the workforce sooner, you can earn a certificate or degree in a career-oriented field, such as firefighting or engineering technology. Try out college. Most programs are open admission. This means that you can go to college even if your high school grades aren’t strong. A community college is also a good option if you’re not sure you’re ready for college. You’ll have a chance to challenge yourself and see if college is right for you. Take advantage of a flexible schedule. Most community colleges are convenient — you can attend full time or part time, and you can schedule your courses around home and work commitments. There’s a campus within a short driving distance of almost every town in the United States. You will need to take the most challenging courses in high school in which you can succeed, courses that meet admissions requirements and prepare you for college level work. If you plan to attend a community college for a technical program, be sure to take courses aligned with your goal. Consider earning college credit through Advanced Placement, International Baccalaureate, College Experience, Learn & Earn or North Carolina Virtual Public School courses. These paths will provide you with opportunities for advanced credit and scholarships. Work hard, study, and be prepared for class each day. Seek help when you need to from your family, teachers, school counselors, and tutors. You will need to send an official transcript when you start applying for college. If you are applying to a North Carolina University, you can send your transcript for free through CFNC. Click here to be directed to CFNC! If the school you are applying to is outside of NC, you will need to send your transcript through Mr. Scribbles. Click here to be directed to that page! Your first three (3) transcripts are free and $6.00 for each additional. Challenging classes and reading each day will help boost your scores! The SAT Reasoning Test or the American College Test (ACT) is required for admission to most four year colleges and universities. It is recommended that you take the SAT Reasoning Test and/or ACT twice beginning in the spring of your junior year. Most colleges will accept the highest combination of scores on either test even if they were achieved on different test dates. Some colleges and universities also require you to take the SAT Subject Tests. You should review the specific admission requirements for the colleges that you are considering. Community colleges do not require either the SAT Reasoning Test or ACT for admission. However, they will require you to take a placement test in reading and math. See steps 1-4 on how to log on for free. You are able to take ACT and SAT practice tests and much more! Grade point average (GPA) and class rank are calculated twice each school year beginning in the 9th grade. Know yours. Leadership development and community service are particularly important when you compete for scholarships. Well chosen activities in which you have a genuine interest and which require significant time and energy are more important than a long list of random activities. Maintain a resume of activities. Build strong, positive relationships with your teachers, school counselors and administrators, coaches, club advisers, and other adults in the community. Recommendations are required for most scholarships and by some colleges. If you need your Counselor or Teacher to provide a recommendation, always supply them with a resume. A sample resume template can be found here. Reading widely and taking electives in English, social studies, and marketing education will improve your writing and speaking abilities. This information and more can be accessed from the 2014 - 2015 High School Planning Guide.